There's currently uproar violence today in Oghara-efe among relatives and well wishers after they learnt that the old woman who was allegedly beheaded by suspected ritualist few days ago in Oghare-efe was led by the sons quest to make quick money according to an insider. 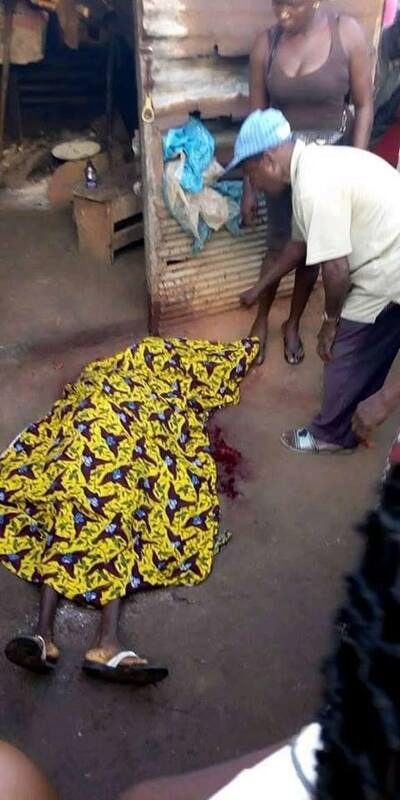 The insider close to the diseased further disclose to us that few days after the old woman was beheaded in Oghara-efe, the spirit of the woman started hurting the son which later made him to gave an open confession and agreed having a hand in his mother's death. He son further disclosed to us how he met with a friend who happens to be among the big boys in town doing big things, the prize he paid to get to where he is today and what he stand to gain if he could take his mother's life. All of this claims are coming shortly after the son was trilled by the spirit of the deceased which later forced him to confess openly in the midst of others. For those of you probably hearing this for the first time, this is what went down four days ago. 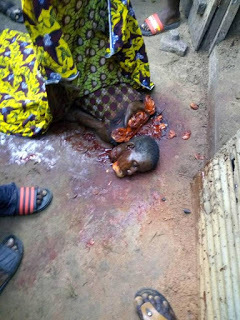 It's a story of an hardworking woman who woke up one early morning to fry Garri as usual but was allegedly beheaded by an unknown person, suspected to be ritualist. The incident which caught everyone's attention happened behind Secretariat at Oghara-efe.